Words by Hartley Campbell. Music by Wm. J. Scanlan. Is the girl of my heart, my own Deelish Asthore. As I roam this world over, a stranger to all? And some day, Mavourneen, I'll come at Iby call. 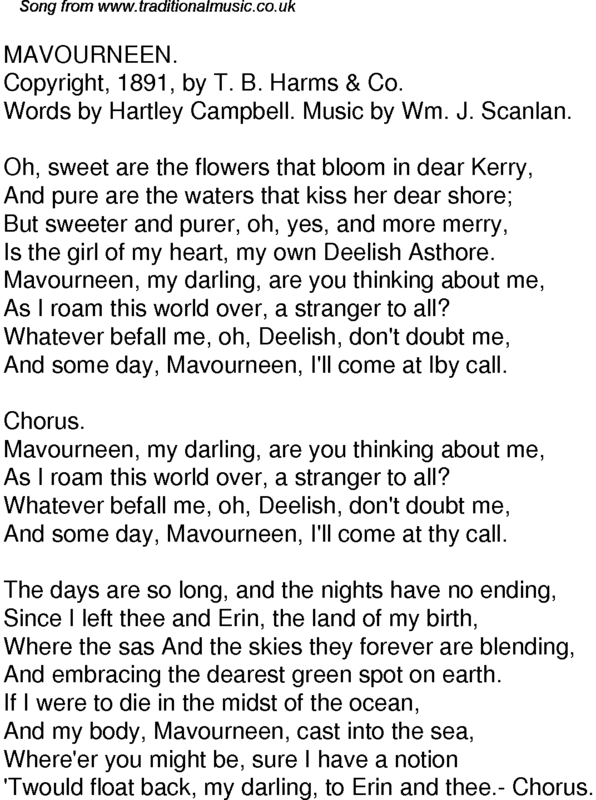 And some day, Mavourneen, I'll come at thy call. And embracing the dearest green spot on earth. 'Twould float back, my darling, to Erin and thee.- Chorus.